If you are looking for information on the Recess franchise business opportunity, Recess franchises or Recess franchising, then you have come to the right place. With a Recess Franchise you get the chance to build a profitable business while creating a fun and positive environment for children. If your idea of a perfect job is being your own boss, facing challenges, doing something of value and just plain having fun, then you need to explore the possibilities of a Recess franchise. 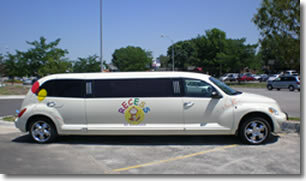 Recess is an entertainment complex designed to help children learn and have fun at the same time in a safe environment. 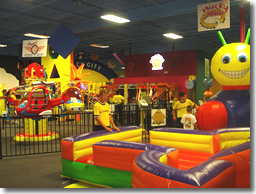 Ever facility has a learning center, carnival rides such a bumper cars, inflatable's, toddler play areas, and a restaurant. Our facilities also provide banquet and party rooms for larger events. To accommodate all investment levels, we are offering a variety of RECESS Packages to choose from, starting from $250,000 ranging up to $1.25 Million there are several ways to bring this amazing idea to life in your community.